Baltimore County officials announced this week that Acting Fire Chief Kyrle W. Preis III took the reins as Fire Chief on July 4th. The County Council confirmed his appointment on Monday. He commands 1,000 career and 2,000 volunteer members of the Baltimore County Fire Service in fire suppression, rescue and emergency medical services operations. Preis takes over for Chief John Hohman, who retired on June 30 after 40 years of service to Baltimore County. “Chief Hohman has done an outstanding job throughout his distinguished career and I wish him and his family all the best in his well-earned retirement,” said Baltimore County Executive Kevin Kamenetz. Preis started his career with the Baltimore County Fire Department in 1990 as an emergency medical technician (EMT) at the Fullerton fire station. Throughout his more than 26 years, Preis has held numerous positions including Fire Captain, Battalion Chief and Director of Emergency Medical Services, and in 2012 he was promoted to Assistant Fire Chief. He earned a master’s degree in public safety administration from Lewis University in Romeoville, Illinois and a bachelor’s degree in fire service administration from the University of Maryland. 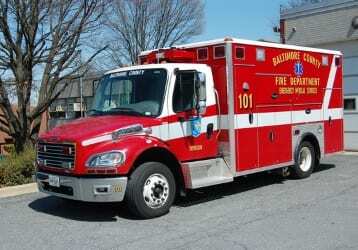 He holds the highest level of fire officer certification from the University of Maryland Fire and Rescue Institute. A lifelong resident of Baltimore County, he resides in Kingsville. “I have every confidence in Chief Preis’ ability to lead our nationally recognized fire department and continue Chief Hohman’s tradition of excellent service and continuous improvement in department operations,” said Council Chair Tom Quirk.